Wow – you had a busy 2016! 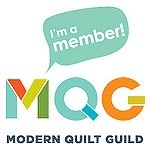 I am new to your blog, but look forward to seeing what you quilt in 2017. It sounds like you have some great projects planned! Happy new year. Welcome, Serena. It’s exciting to regroup and make plans for the coming year. I always find it amazing to look back and see how much is accomplished in a year. 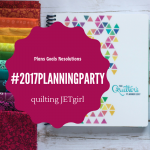 I hope that you have a wonderful 2017 and that you find the Quilter’s Planner is a good tool to help with the organization and planning you have as goals. Happy New Year! Good luck with your plan for the new year! Marla, what a year you had! Looking forward to your 2017! I see some things on your list, that need to be on mine, like FMQ and balance! Happy New Year! You certainly weren’t a slouch in 2016, well done on all your accomplishments! Good luck with all the 2017 goals.